the tumultuous lives of Titia and Helmut. A young woman went on a holiday to Germany in 1942 and found the love of her live. This sums up my motive to write this novel: these facts alone always carried the promise of an exceptional story. However, the circumstances and the consequences that came with the facts were a lot less light-hearted. For this reconstruction, I read hundreds, maybe thousands of letters and other relevant documents. I interviewed members of my family and others in the margin of the lives of Titia and Helmut – two people who happened to be my grandparents. Archives helped me to sketch the context and to assure me that my findings were correct. I travelled to several locations in Germany, France and The Netherlands, where the couple lived, with or without the other. My grandparents were a Dutch woman and a German man, who fell in love in a time where they were expected to hate. With everything she had, and in any way she could, Titia tried to build a life, and Helmut dreamed of a career as a businessman. They symbolise all those people who try to survive in a war: they are not a part of it, they don’t want to be part of it, but they are forced to take a role on a larger stage. 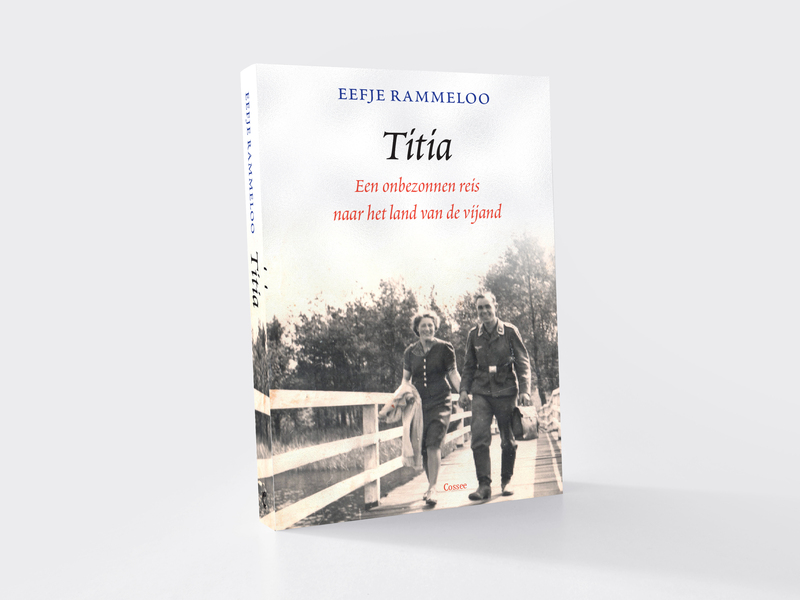 Titia is a novel, based on a true story. It is to be purchased in the better bookstores in The Netherlands. More information can be found at the website of Publishing house Cossee. Press contact is Eva Bouman.